The micro-friends are being chased by the Krools. Find out if they can escape the heat-seeking gel boomerangs and reach Planet Moxor in Space Hunt. Ant, Tiger and Seven are alone in a desert on Planet Moxor. They take shelter in a cave, but have they made the right decision? Find out in The Deadly Cave. Can Max, Cat and Nok make it through the treacherous cactus forest, escape the Krools and find their friends? Find out in Grumptus Attack. 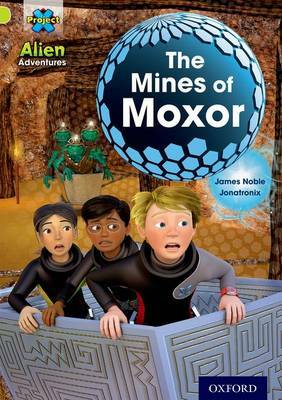 Our heroes enter The Mines of Moxor in their quest to save their friend, Seven, and find the fragment of Exis. Will they succeed? In The Contest, Max has to race the Moxorian champion in a deadly contest, but who will win? The micro-friends return to Planet Exis with the four fragments. Will they be able to re-form the Core, or will Badlaw get in the way? Find out in Return to Exis. Each book comes with notes on the inside front and back covers for teachers, TAs and parents/carers, which give question prompts and points for discussion, challenge words, and additional activities that children can do.